Preparation: We booked air tickets Shanghai to Rome and Milan to Shanghai almost two months before the trip. At the same time we also booked hotels in all 4 cities: Rome 3 nights, Florence 3 nights, Venice 2 nights and Milan 2 nights. I also brought 3 travel books, in which the most useful one is DK Eyewitness travel family guide: Italy. 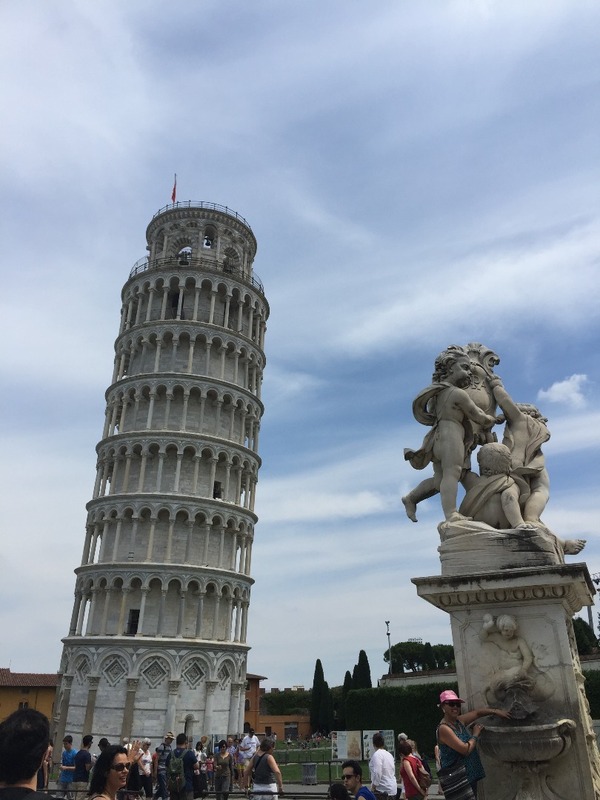 General opinion: We all love Italy and we had a great time during the vacation. 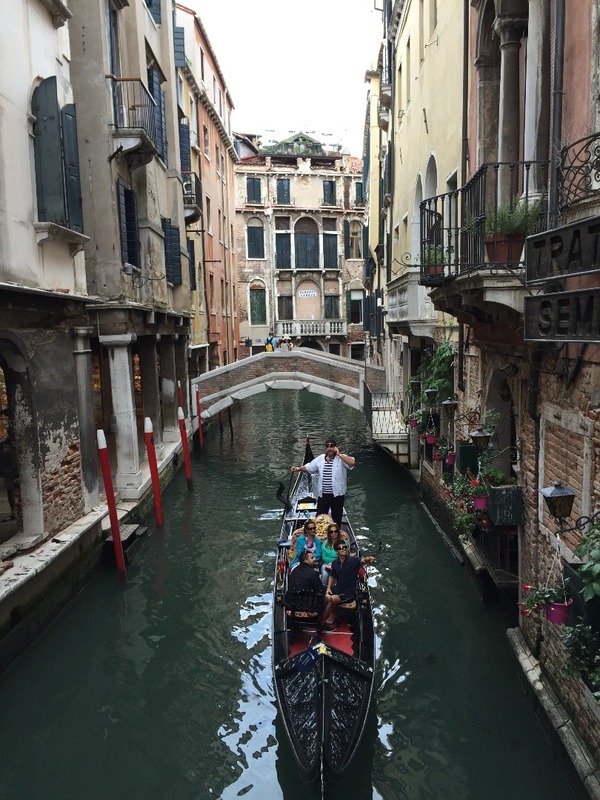 Among the 4 cities, we love Venice and Rome the most. Florence is also very peaceful and beautiful. If we can do this all over again, we would spend 2 more days in Venice and skip Milan totally. Things I didn’t know before: 1. Sitting down eating breakfast is way more expensive than standing and eating. 2. Tons of Motorcycles in Rome and Florence. Motorcycles and cars are very fast even in small alleys. It seems they don’t have speed limit! 3. Even train tickets have assigned seats, and it has mistakes all the time. We once had seats 20, 21 while there are only 19 seats in that cart! 4. Major attractions like the Vatican City, book tickets online at least 1 week before! Attractions and activities: Day 1. We flew to Rome and landed around 7pm. I’m Glad my husband arranged a driver from hotel to pick us up. Passing by the Vatican City. Day 2. We got up early and went to the Colosseum and only waited 20 minutes in line. It took us 2 hours to visit the whole site. Then we came out walking towards the Trevi fountain, passing by Trajan’s Market & Columns. The Trevi fountain was in maintenance so we didn’t get see the turquoise fountain. After lunch we walked back to hotel had a quick rest then went to Pantheon, Piazza Navona and Spanish Steps. That’s the place we had dinner. We walked almost 22000 steps one day. Day 3. We called a taxi and went to Piazza St. Pietro. We waited almost one hour and a half to get the ticket to Vatican museum. If we knew, we would buy tickets online like a week before. We ended up spending 80+ more Euros to follow a tourist group to get in. There are several museums in it and includes the Egyptian Museum, Gallery of Maps, Gallery of Tapestries , Pinacoteca, Raphael Rooms, and so on. 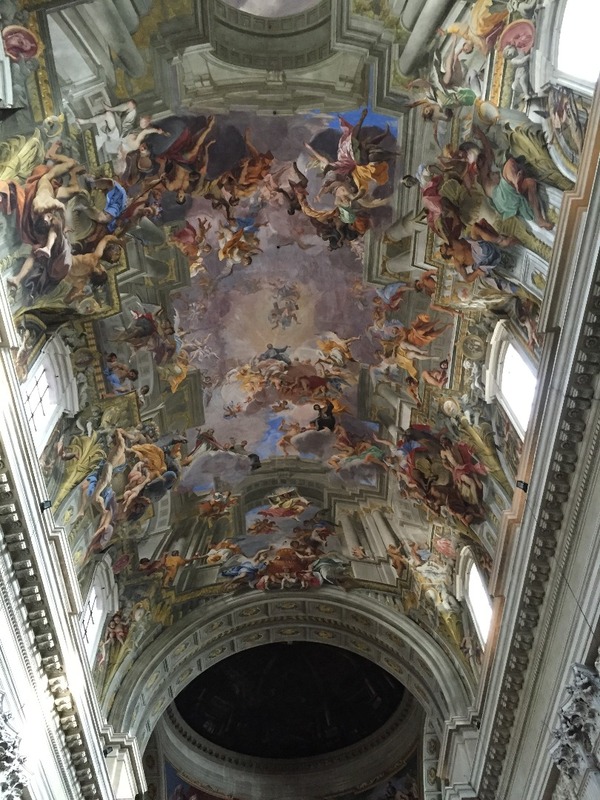 The most famous one is the Sistine Chapel. It was great, we had a whole day walking in there and ended the day in the largest Cathedral in the world: St Peter’s. On the way home we passed the Castel St Angelo and crossed the Ponte St Angelo. I also walked to St Ignazio Church by myself right before dinner. Day 4. We stopped by the famous Truth Mouth before we went the Campo de’ Fiori (the market with fresh fruit, vegetables and flowers, also pasta!) The last stop before we left Rome was the Piazza of Popolo. We climbed up the hill and the view of the entire Rome City is just breathtaking. We took the afternoon train and arrived at Florence around 6pm. Dining: Pasta, Pizza and Salad! Breakfast really contains just a cup of cappuccino and a croissant. If you sit and eat, it will cost more than double. So the best is to get take out or stand and eat! At lunchtime we usually order Pizza and Pasta. It usually costs 30 – 40 euros. Dinner will be a little formal and cost around 50 -70 euros. The tip is much more less than in the States. Sometime if it charges the service fee, you may not need to tip. All water, bread and butter are not free, not like in America! Commute: Since most of the attractions are close to town, be prepared to walk! The average steps we took each day is around 15000 to 20000. We usually called taxis to and from the train station since we have luggage with us. The cost is not bad. 20 minutes ride is usually around 15 euros. Most of the taxi drivers speak or can at least understand English. The interesting thing is we saw a lot BMW or Mercedes Bends as taxi. Between 4 cities we took trains. You don’t need to buy ticket before hand. You may just go to the station and buy tickets there. Looks like every hour or so they have trains to your next city. Lodge: Since we really want to stay close to the center of the town in all 4 cities, the hotels we picked are around 300 – 500 euros per night. Rome: The Splendor Suite. 300 euros per night, has a loft with a double bed, which is perfect for the kids. It is in the Piazza di San Lorenzo, has couple of bars and restaurants outside just downstairs. Florence: An apartment (Residence Porta Al Prato) with two separate bedrooms. It is only around 200 Euros per night. Venice: 300 Euro per night. It is called Villa Laguna, right at the waterbus station in Lido. The living room window opens up to the sea. You can see the opening of the big canal with the Cathedral on one side right from the window. The view is just amazing. The best thing is it has complimentary breakfast right at the balcony that oversees the ocean! Milan: 500 Euro per night. It is a very modern service apartment hotel with very clean big rooms. They had set up the two twin beds for our kid in the living room. It is just a little expensive! Shopping: I don’t recommend shopping in Milan. The price of the same merchandize is higher than in the US. I regret not getting more pasta or spices in Rome. Things I wish I had known before: (Continue on Resort section: ) Day 5. We spent almost the whole morning in the Duomo, the famous Santa Maria del Fiore Cathedral in Florence. 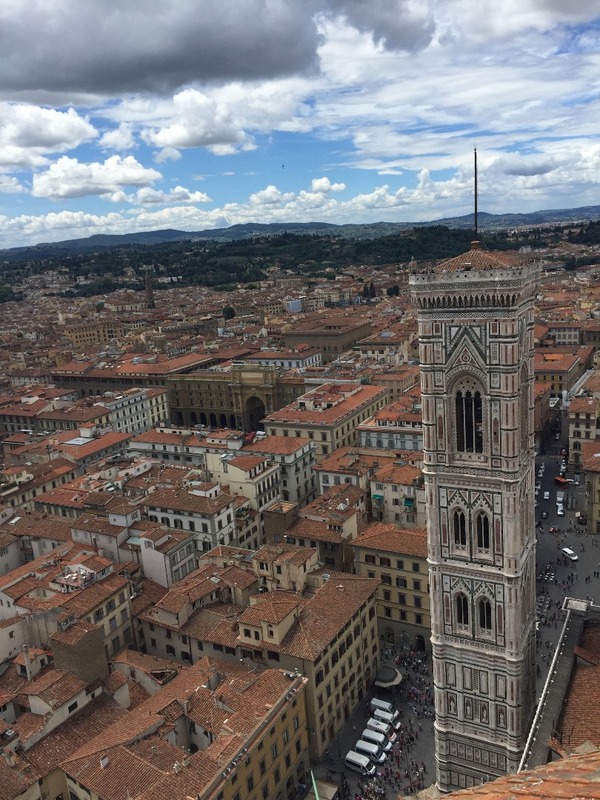 We climbed up onto Giotto’s bell tower first (441steps) then the Duomo (around 500 steps). In the afternoon, we passed by the Uffizi and the Ponte Vecchio. We also visited the Galileo Museum. We climbed hills and reached Piazza of Michelangelo, and the David statue is blue which made me a little surprised. Day 6. Took train to the small town Pisa. Spend half day at the Leaning Tower and came back visited the Boboli Gardens. Day 7. Train ride to Venice by noon. We spent the afternoon in Pizza of San Marcos and enjoyed the waterbus ride up and down the channel. Day 8. In the morning we took a Gondola ride and spent couple of hours in the Ca’d’Oro. We rested in Campo Santa Margherita and saw the fruit and vegetable market on the boat. In the afternoon, we went to the Glass Museum in the island of Murano and then went to Burano. The colorful houses in Burano definitely made me want to stay there more. Day 9. Spent the whole morning on the beach in Lido Island. Arrived at Milan around 6pm. The modern service apartment we stayed in was just a couple of minutes away from the Milan Cathedral and it is also in the heart of the shopping area. Day 10. We visited the Milan Cathedral (Duomo di Milano) and also went up to the top. The kids got tired and they spent the afternoon in the hotel watching TV while we two went to the Sforzesco Castle. We also did some shopping afterwards around the Galleria Vittorio Emanuele II area. Day 11. Last day in Italy started with more shopping around central Milan. The flight back to home was long and we stopped at London to change the plane. Because of time difference, we got home the next day around 4pm after total 11 hours between London to Shanghai. It seems you really had a great time in Italy. Thank you very much for posting your wonderful travel experience here!